When Christiania Bikes introduced the Bugatti hood, customers soon started to ask for an extra window, at the back, so that the rider could see the children. For a long time Lars refused to oblige: “Children need to have their little secrets”. 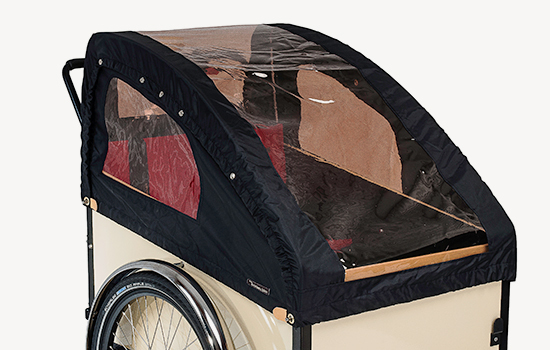 After a couple of years, Lars relented and now the Bugatti does come with a rear window (there is even the Panorama version, with the front window extended to become a skylight); but his appreciation of why children prefer Christiania tricycles over all other cargobikes is spot-on. 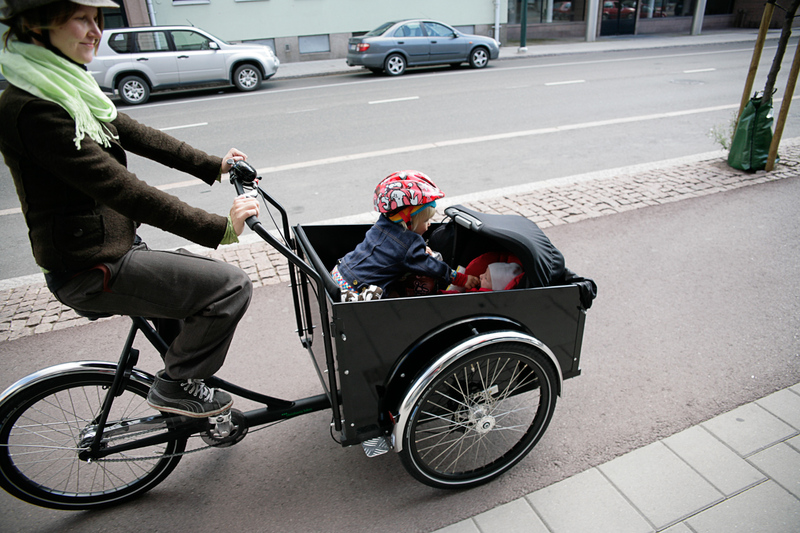 Whereas many cargobike designers aim to appeal to the aesthetic sensibilities of the parents, the Christiania cargo-box is the children’s favourite. It is not rounded to please Mum and Dad, it is square to offer ample room to the children’s creativity and their friends. When the children invite their friends, they don’t tell them “Look how cool my parents are”, rather: “Come and play”. In other words, the children feel that the box is their realm, where they can chat and play while their parent is pedalling. 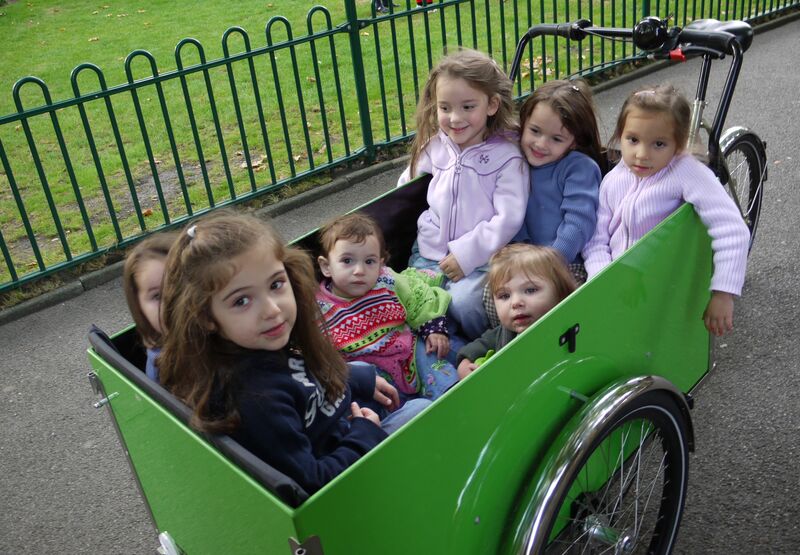 Other cargobikes, with their space-reducing rounded shapes, make the children feel less free, less able to express themselves.